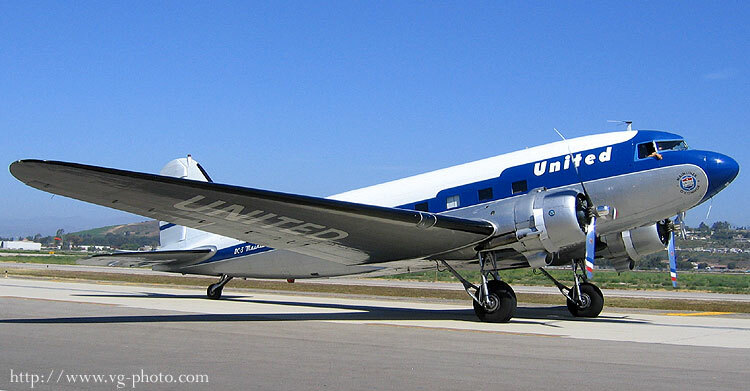 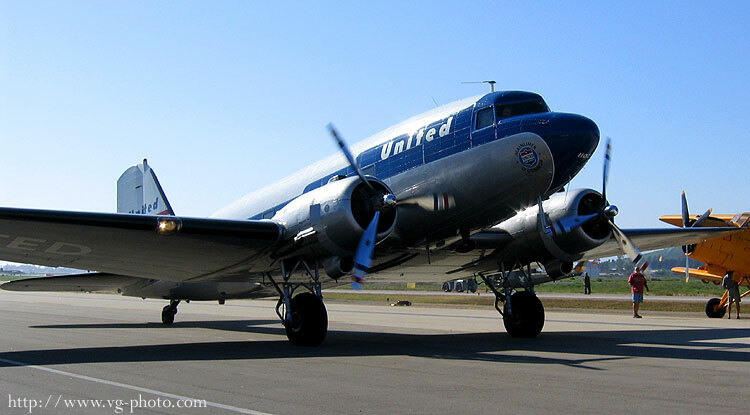 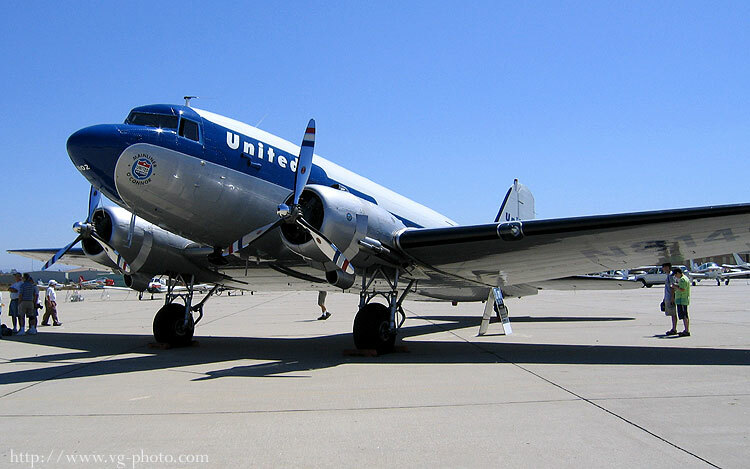 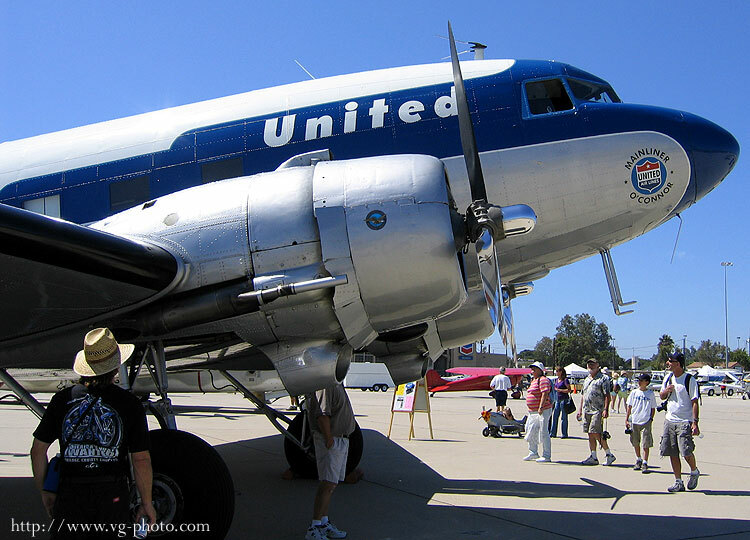 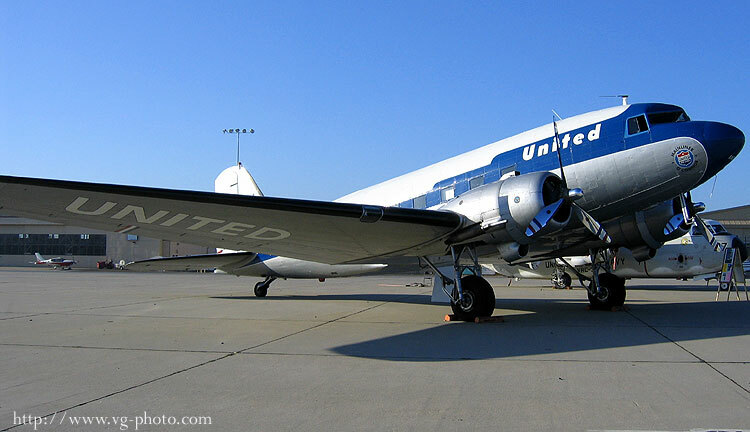 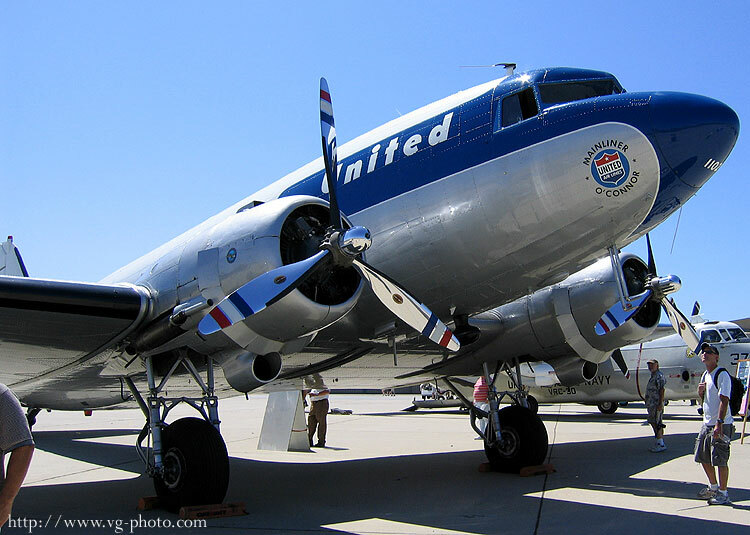 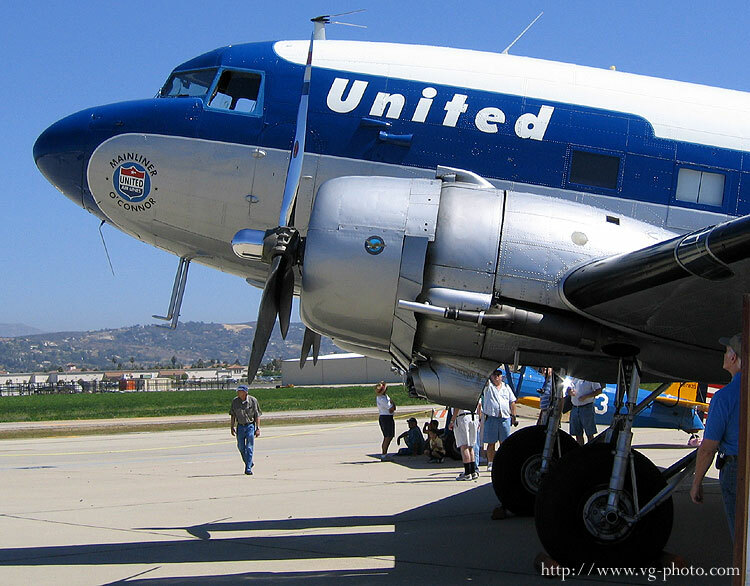 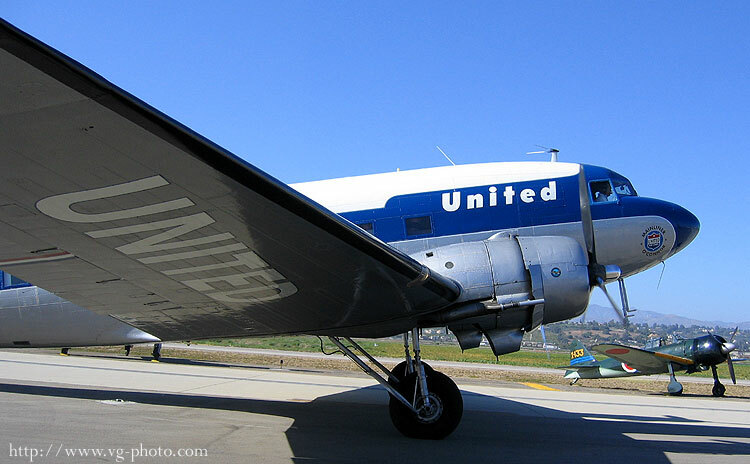 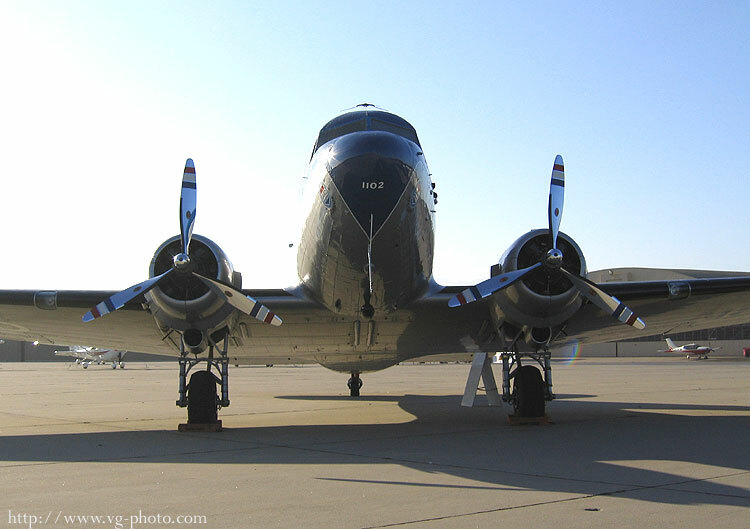 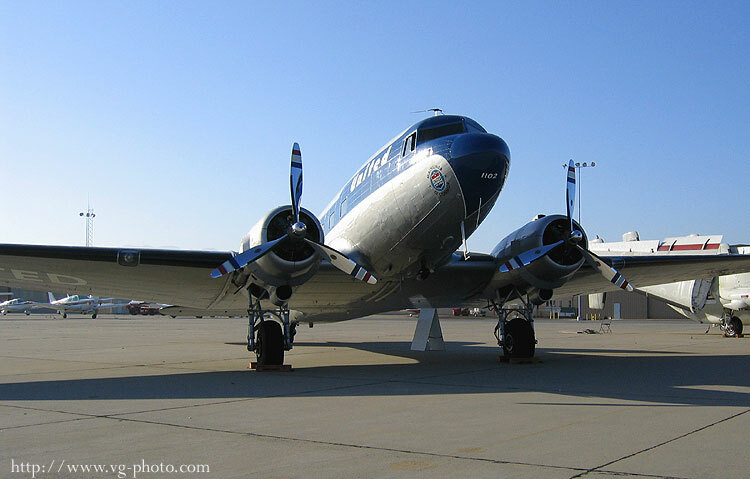 This is Clay Lacy's beautifully restored Douglas DC-3C, "Mainliner O'Connor" (N914CL). 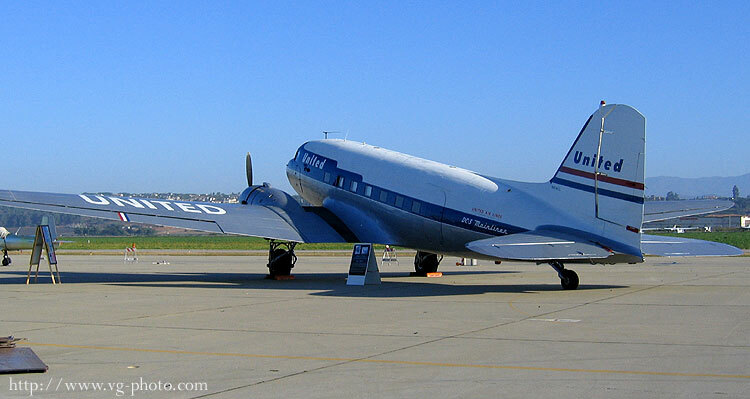 The DC-3 was a popular airliner in the 1930s and became quite a workhorse for militaries of many countries as a C-47 Skytrain. 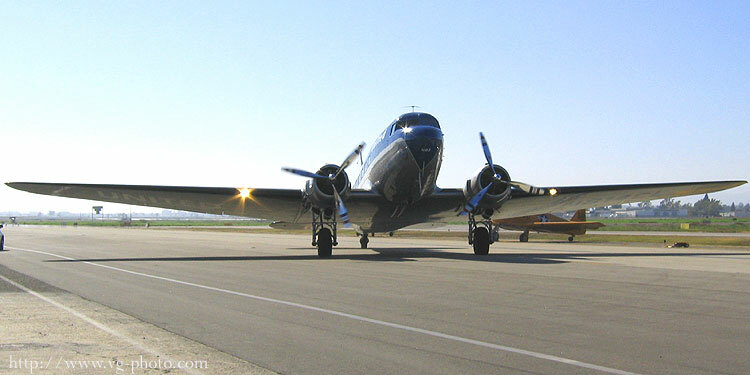 It was also called the Dakota in British service. 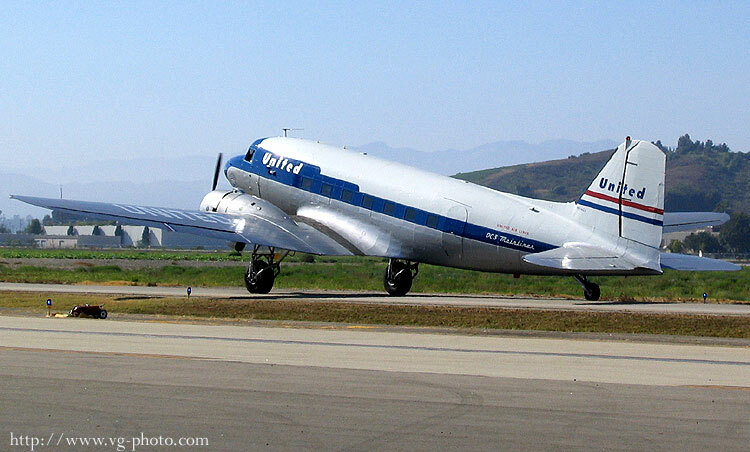 The Russians license-built the DC-3 and called it the Lisunov Li-2. 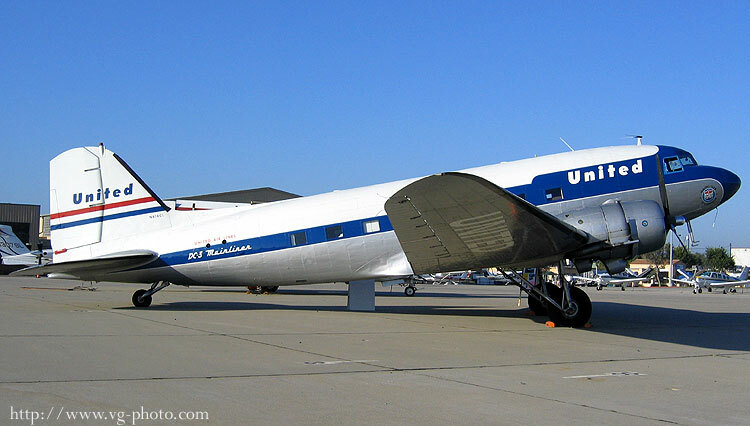 Before WWII began, the Japanese had license to built the DC-3 and they built them as a Showa L2D.